The Yangtze River Basin in China is characterised by hot- and cold-humid climates in summer and winter, respectively. Thus, increased demand for heating and cooling energy according to the season, as well as poor indoor thermal comfort, are inevitable. To overcome this problem, this study focused on the influence of passive design and heating, ventilation, and air conditioning equipment performance on the energy performance of residential buildings, and explored potential energy-saving technology paths involving passive design and improved coefficient of performance through a multi-objective and multi-parameter optimisation technique. A large-scale questionnaire survey covering a typical city was first conducted to identify family lifestyle patterns regarding time spent at home, family type, air conditioner use habits, indoor thermal comfort, etc. Then, the actual heating and cooling energy consumption and information of model building were determined for this region. Subsequently, the design parameters of an individual building were simulated using Energyplus to investigate the cooling and heating energy consumption for a typical residential building with an air conditioner. The results indicated an improvement of approximately 30% in energy efficiency through optimisation of the external-wall insulation thickness and the external-window and shading performance, and through use of appropriate ventilation technology. Thus, a multi-objective and multi-parameter optimisation model was developed to achieve comprehensive optimisation of several design parameters. 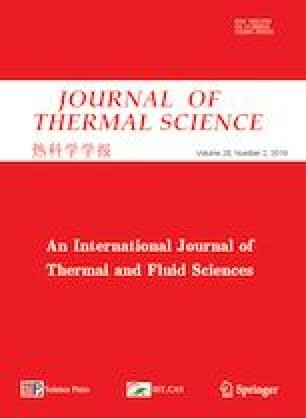 Experimental results showed that comprehensive optimisation could not only reduce cooling and heating energy consumption, but also improve the thermal comfort level achieved with a non-artificial cooling and heating source. Finally, three energy-saving technology paths were formulated to achieve a balance between indoor thermal comfort improvement and the target energy efficiency (20 kWh/(m2•a)). The findings of this study have implications for the future design of buildings in the Yangtze River Basin, and for modification of existing buildings for improved energy efficiency.